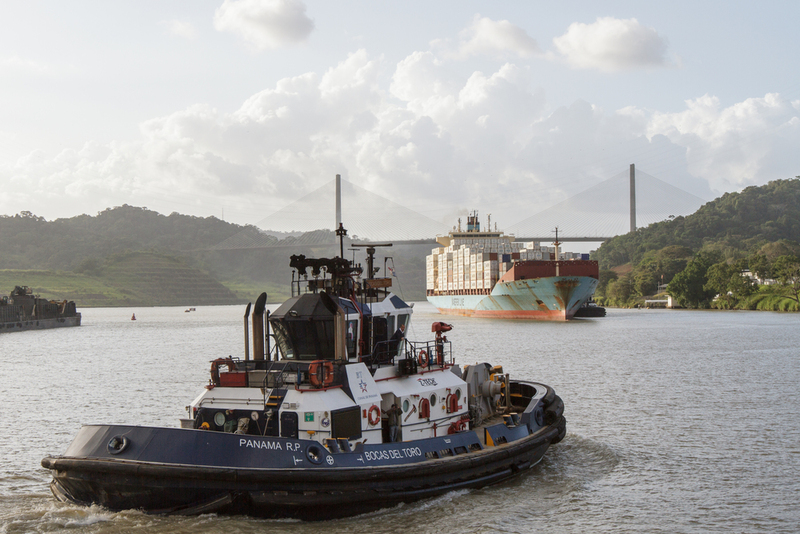 Our journey through Panama and Costa Rica last December included a once-in-a-lifetime transit through the famous Panama Canal. We were aboard the Sea Lion, a small cruise ship under the auspices of National Geographic expeditions. 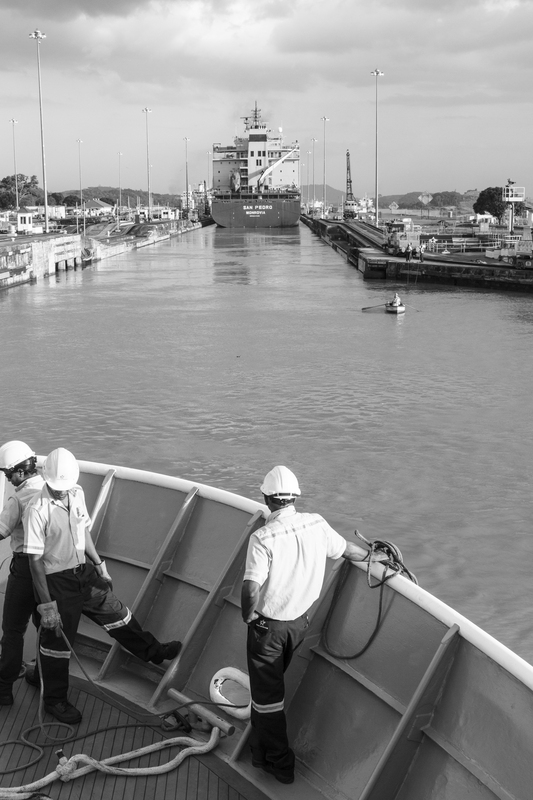 We met up with the Sea Lion at the docks near Colon on the Caribbean Sea side, and very early the next morning we were boarded by the Panama Canal crew to go through the first set of locks. 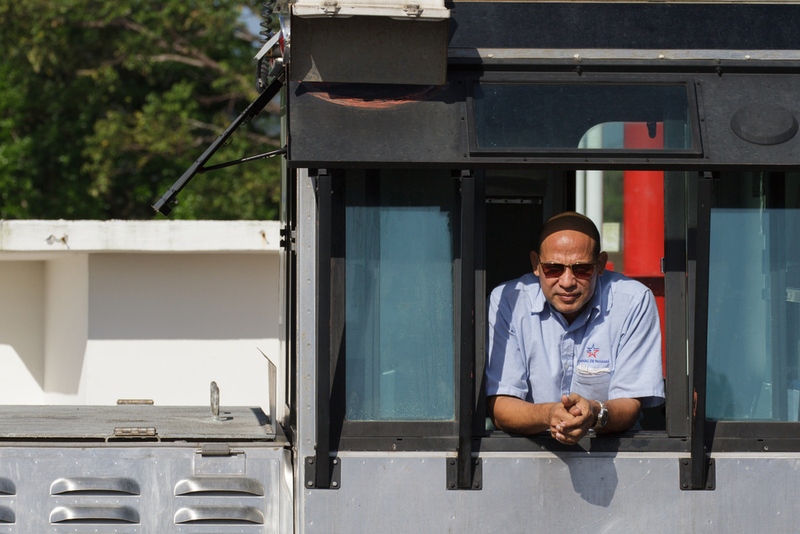 Though I was of course aware of the Canal, it wasn't until we began preparing for the trip and learning about its history that I came to really appreciate both its significance to global commerce and how difficult it was to build. It is a fascinating story that involves a failed effort by the French, many deaths, international political intrigue, United States hegemony, battling mosquitoes, and brilliant engineering. (If you are interested, check out David McCullough's chronicle on the Canal or try to find the PBS American Experience video). 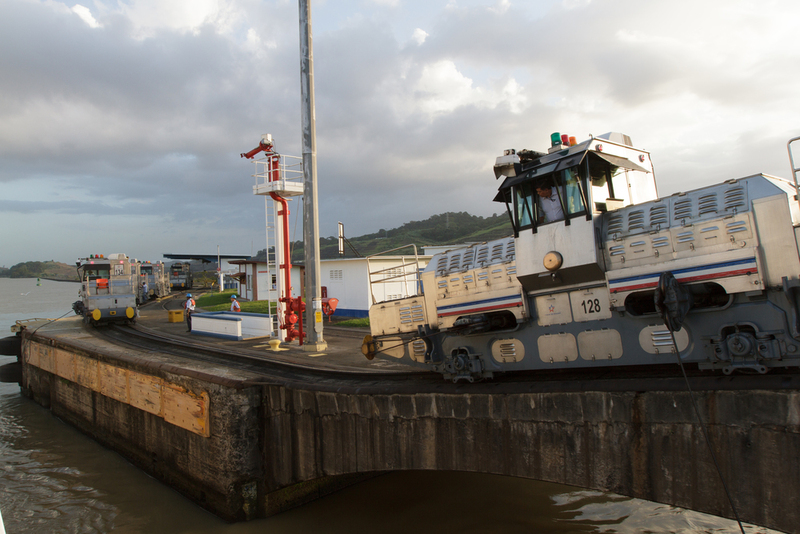 I vaguely understood the principle by which the canal was built - that instead of being a channel dug at sea level, the canal is actually bookended by a series of locks that elevate ships up to the level of a manmade reservoir, Gatun Lake, and back down on the other side. (This, in turned out, was just much more doable than trying to dig down through the mountainous and rainy tropical interior to make a sea-level waterway as had been done for the Suez Canal in Egypt.) All of the theory came to life as we proceeded into the narrow chambers of a lock, watched the gates slowly close, and experienced the ride upward when millions of gallons of water began rushing in. 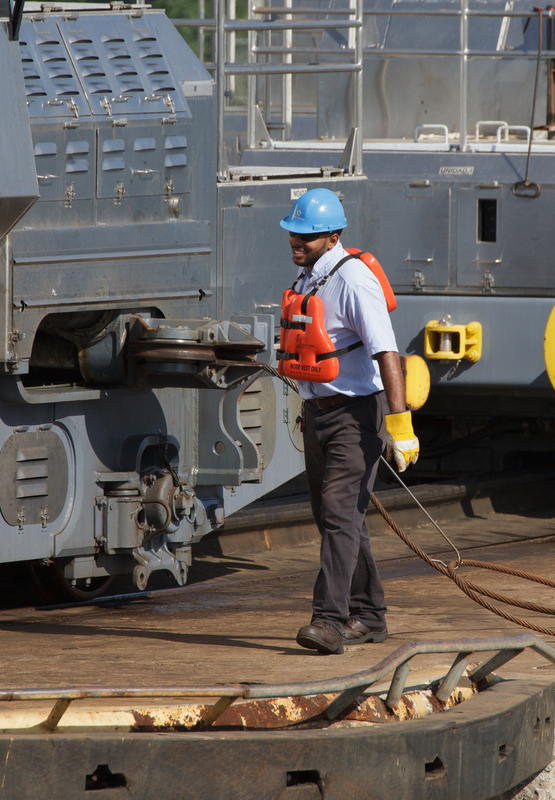 During this time, the Panama Canal crew basically takes over control of each ship, throwing ropes and using hooks to attach lines and guide them through the locks using little train-like cars on ramps. The Canal makes vivid just how much stuff is moved around the world every day, as well as how much it costs in terms of not just money but also people's time to shift it all around. 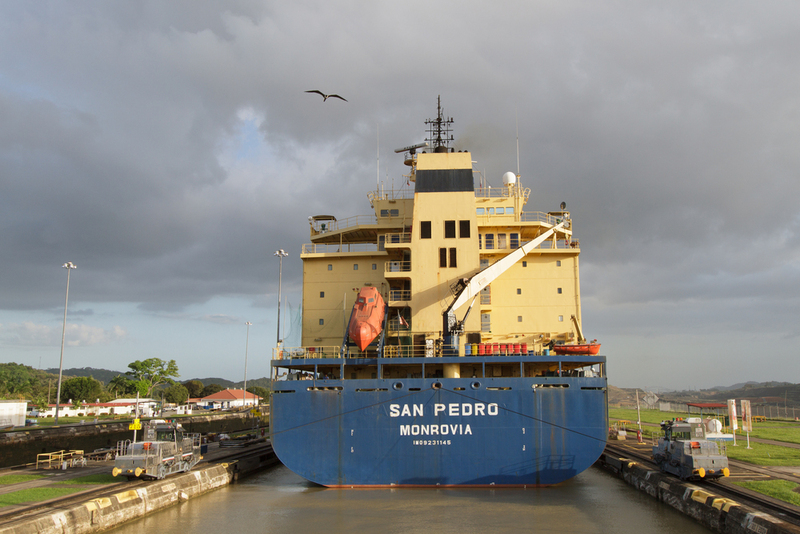 Companies pay huge sums of money to bring their cargo through the canal, in order to avoid the extra time and peril of sailing around the tip of South America (the Drake Passage). The ships line up to go through the locks, and sometimes two at a time squeeze in end-to-end for the ride. When side-by-side with one of these enormous cargo ships, you gasp to realize that every colorful rectangle of cargo (shipping container) is the size of a semi-trailer that will be or has been dragged along a highway to get to its final destination. Because each lock has two chambers side-by-side, we would often be next to a gigantic container ship up close. 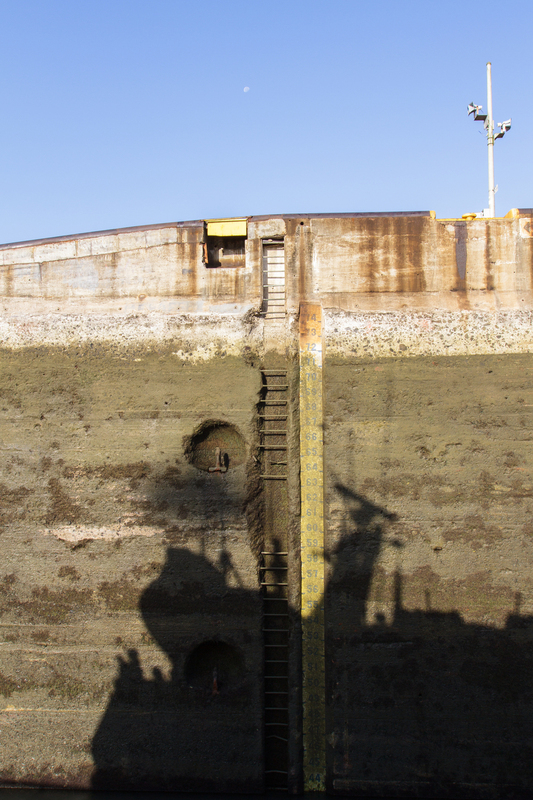 And to think that the ships made today are becoming too outsized to squeeze through the Canal (i.e., are bigger than "Panamax" size), so that a new series of locks is under construction. You might be surprised at how much natural beauty there is in the area of the Canal. The Smithsonian Institution runs a biological preserve in the middle of Gatun Lake (Barro Colorado Island), and we got to stop off and hike there by taking a ride by inflatable boat to the shore. We learned about some of the natural history of the island and the ongoing biological research. I was sad to learn that our guide to the island had been researching jaguars for more than a decade but had never seen one alive in the wild. As a fellow cat person, I appreciated her dedication to the preservation of big cats and hoped that she would eventually see one alive. 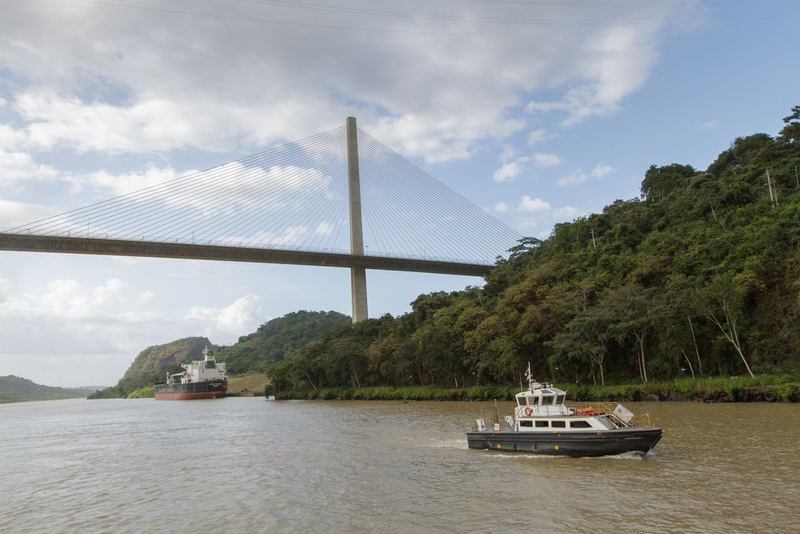 As the trip wound down at the end of the day, we passed underneath the spectacular suspension Centennial Bridge and continued through the Pedro Miguel and Miraflores Locks. These returned us once more to sea level so we could sail out into the open Pacific Ocean, to continue our exploration of the beautiful countries of Panama and Costa Rica. More on the rest of the trip in coming entries! For now, please enjoy the collages below. 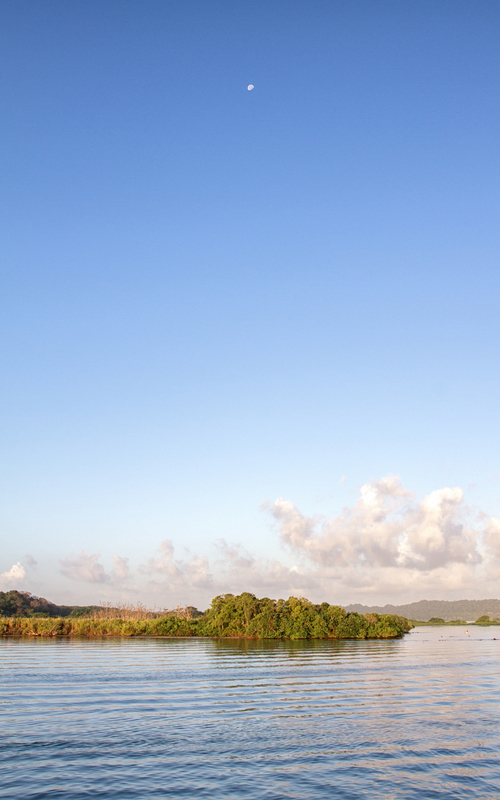 We rode in inflatable boats to Barro Colorado Island for a hike of the island, which is used for biological research. The Sea Lion waited patiently for us in the distance, as our skillful driver navigated our way to shore.